The Bank of Agriculture (BOA) says Nigeria has saved over $600m (N216bn) from not relying on rice import from Thailand and other countries, after the nation’s domestic mass production increased under the Anchor Borrowers’ Programme, Owojela’s Blog reports. The Executive Director, Risk Management and Finance, Bank of Agriculture, Niyi Akenzua, disclosed this when he led a delegation of the bank management on a courtesy call to Oyo State Governor, Abiola Ajimobi, in Ibadan, on Thursday. Akenzua said it was worthy of commendation that the country had committed itself to diversifying from oil, with emphasis on revitalisation of agriculture. According to the Ministry of Agriculture, Nigeria import bill was $22bn (N7.92tn) as recently as 2016. Akenzua said it was necessary to enlist the support and involvement of state governments in the Anchor Borrowers’ Programme, which, he said, had freed the country from reliance on importation of rice. Akenzua said, “We enjoin Oyo State to participate in the Anchor Borrowers’ Programme, as we expanded the scope of beneficiaries. The pilot scheme was so successful that $600m was saved from rice importation due to massive rice production in the country. “One or two rice millers in Thailand closed down because Nigeria, which has always been their major importer, has stopped importing their rice. According to him, the state is in good stead to be a major agriculture hub. It is unclear how much the governor has focused on agriculture since the inception of his administration in 2011. 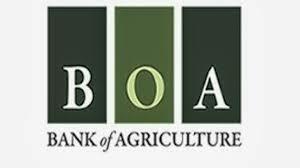 He advised the new management of the BOA to do all that was humanly possible to sustain the momentum in its renewed drive to revitalise the agricultural sector.